Cutloose is becoming one of the world's most respected young talents, with residencies in several cities in Australia and the USA. Cutloose has shared the stage with M.I.A, Blackalicious, Cut Chemist, DJ Shadow, The Cool Kids, Lyrics Born and more. 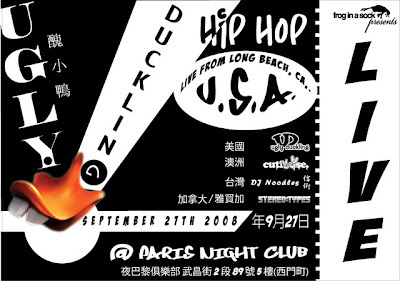 Taiwan's DMC legend DJ Noodles is one of the best live DJs in Asia having played all over the world and shared the stage with Naughty by Nature, DJ Q-Bert, DJ Jazzy Jeff, DJ Premier and more.